The National Council for Voluntary Organisations has written to MPs to raise more concerns about amendments to the lobbying bill before its third and final reading in the House of Commons today. Sir Stuart Etherington, chief executive of the sector body, has written to clarify points raised by Andrew Lansley, the leader of the house, in a letter to MPs dated last Friday. The NCVO and the chief executives body Acevo have already raised concerns that the government’s amendments to the Transparency of Lobbying, Non-Party Campaigning and Trade Union Administration Bill do not go far enough. Sector bodies have previously objected to parts of the bill they say limit the ability of charities to campaign. In his letter to MPs today, Etherington says: "In our view, the assurances given by ministers on the floor of the house that charities campaigning on policy issues will not be affected have not been met." The amendments made by the government in response to the voluntary sector’s concerns include reverting to the wording of existing legislation that defines controlled expenditure as expenditure that "can reasonably be regarded as intended" to promote or procure electoral success of a party or candidate. In his letter, Etherington says this "misses an important point": that in previous elections this definition applied to "election material", a much narrower category of activity than is included in the bill. The bill would also considerably lower the spending thresholds. He says the NCVO is working with the Electoral Commission to clarify the existing guidance because many charities are already unclear about the rule "because of the uncertainty and ambiguity of the definition of what constitutes controlled expenditure". "Simply returning to the previous form of words does not solve the problem," writes Etherington. MPs voted yesterday to press ahead with the government’s timetable for the bill, despite strong opposition from Gareth Thomas, the shadow minister for civil society, and Graham Allen, the Labour MP for Nottingham North and chair of the Political and Constitutional Reform Committee. Allen told the debate the timetable was an abuse. "Parliament has been disrespected," he said. "We are not even going to present the dog’s breakfast of this bill in a proper bowl for their lordships – it will not be on the silver platter that they deserve. They are going to say that we are not capable of doing our job." He called the timetable "an insult to those who work day and night in charities; it is an insult to members of this house who are receiving representations about what is a very important matter but are unable to voice them in this chamber". 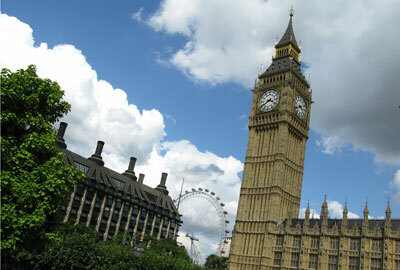 Thomas said the bill was being rushed through parliament and the timetable would make line-by-line scrutiny unlikely. "It has attracted huge concern from across the third sector about the chilling impact it will have on the perfectly legitimate campaigning activities of charities," he said.